The innovation leader offers food packaging made from BPA-free raw material. The Austrian packaging producer, Greiner Packaging International, bans the controversial chemical compound Bisphenol A (BPA) from use in the production of food packaging. 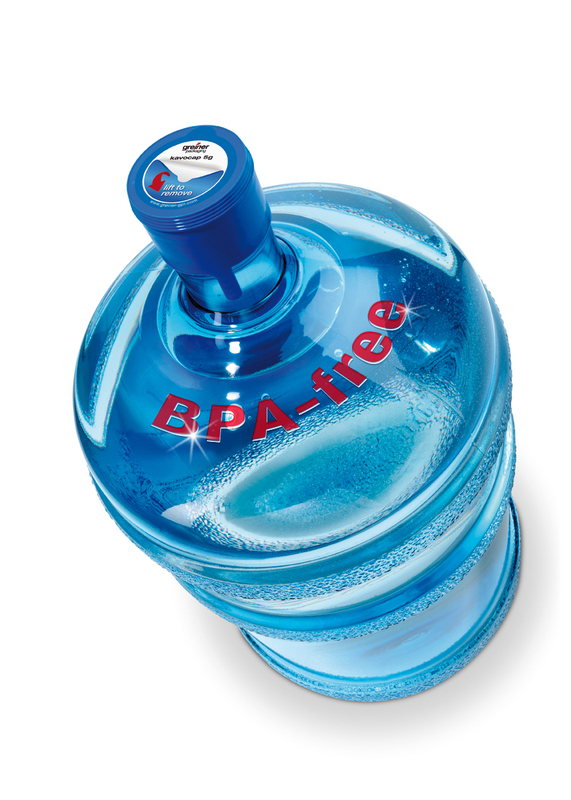 By the end of March 2014, all production lines will be changed over to “BPA-free”, as the company builds upon several years of experience processing BPA-free raw materials. Kremsmünster, 19 September 2013 – “For us, innovation means making life better through creating sophisticated packaging solutions, one product at a time. While doing so, protecting the health of consumers is of the highest priority. Therefore, as the leading company in the packaging industry, we are completely changing over to BPS-free materials used in the production of food packaging,” says Willi Eibner, CEO of Greiner Packaging International. The changeover mainly concerns 5-gallon water bottles that were still being produced from polycarbonate per customer requirements. In 2009 – two years prior to the EU ban on the use of polycarbonate (PC) in the production of baby bottles in 2011 – Greiner Packaging International had already excluded BPA from the manufacturing of these sensitive products. For over two years, Kavodrink bottles have been produced from totally BPA-free raw material as well. In tandem with production, alternative raw materials are continually being tested, in order to offer our customers the best available options. Eibner points out, “In the last few years, we have been able to gain a lot of know-how in the sector of processing BPA-free raw materials. Now, our customers benefit further from this advanced knowledge. Currently, Tritan™ copolyester from Eastman is Greiner Packaging International’s preferred BPA-free raw material. It was approved by the USFDA (US Food and Drug Administration) and the EFSA (European Food and Safety Association). Tritan™ copolyester is almost unbreakable, crystal-clear, heat-resistant, dishwasher-proof, and extremely robust. In addition, it allows for a high degree of design flexibility. In the production of 5-gallon water bottles, Greiner Packaging International can use it in injection stretch blow molding and extrusion blow molding. Public discussion on the chemical substance BPA is contributing to the fact that an increasing number of governmental authorities are passing laws and regulations to ban it. Recently, France has caused a stir throughout the EU by banning BPA as of 2015 for use in all food packaging, and the country backs its prohibition throughout the EU. Sweden is also preparing a sweeping ban on BPA. Greiner Packaging International is one of the leading companies in the European packaging industry. In 2012, the company achieved annual sales of EUR 472.9 million (EUR 488 million including Joint Ventures) – more than one-third of the total Greiner Group sales. Greiner Packaging International has a workforce of 3,236 employees throughout 34 locations.